Unlock the mysteries of China! Marvel at extraordinary sites that showcase its traditions, natural wonders and events including the Great Wall, the Forbidden City, the Temple of Heaven and Tiananmen Square. Discover how China has maintained its cultural identity for thousands of years while becoming a force in the modern world. And delight in Hong Kong Disneyland Resort and the new Shanghai Disneyland! Explore Tiananmen Square and the Forbidden City on a privately guided tour. Walk along the Great Wall—one of the Seven New Wonders of the World—and see the beautiful forests below. Observe a variety of delightful pandas on a privately guided visit to Chengdu Research Base of Giant Panda Breeding—China's premier institution devoted to the preservation of these rare and beloved animals. Take an excursion to Xi'an for a privately guided visit to see the platoons of terracotta warriors and horses. Buried with China's first emperor, Qin Shi Huang Di, these reddish clay sculptures are among the most significant archeological finds of the 20th century! Be awed by the panoramic vistas of Hong Kong from atop Victoria Peak, shop at the world-famous Stanley Market and enjoy this city's excellent culinary offerings. Enjoy traditional Chinese culture with a performance of the Sichuan Opera—featuring the magical art of face changing. Be amazed when you see actors changing more than 10 masks in under 20 seconds! Top off your visit to Hong Kong with the magical experience of Hong Kong Disneyland, which boasts 7 lands. And while you're on the mainland, thrill to Shanghai Disney Resort—the newest Disney Resort in existence—with a theme park featuring some attractions you can't find anywhere else! **= Multi-generational departure - These trips are great for grandparents, parents and children to take together. Professional photographers will travel with the group, creating a personalized digital package of images for each family, at no additional cost. Upon exiting customs, an Adventures by Disney representative meets you and escorts you to your transfer vehicle. Relax as the driver assists with your luggage and drives you to your hotel, The Peninsula Hong Kong. Unwind in the grand lobby of Hong Kong's oldest hotel as your Adventure Guides check you in. The Peninsula Hong Kong hotel was built in 1928 and is known as the "Grand Dame of the Far East." The evening will be your own to explore this city's exceptional nightlife! 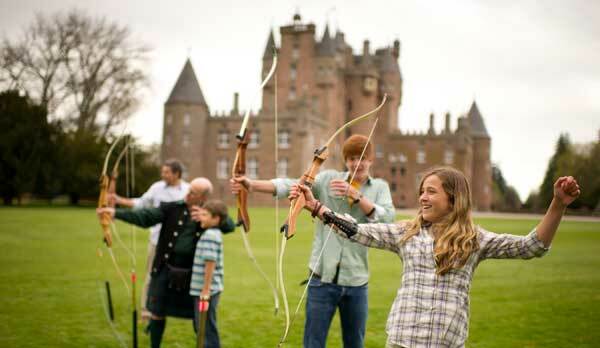 Ask your Adventure Guides to suggest activities the whole family will enjoy. And don't forget to see A Symphony of Lights—a spectacular, multimedia, laser light show that floods Victoria Harbour with radiance and orchestral music each night at 8:00 PM (Hong Kong Time). Enjoy a private dinner in the renowned restaurant of this elegant hotel. Meet your fellow Adventurers and listen to your Adventure Guides as they tell you more details about the adventures that lie ahead. Wake up to a filling breakfast and get ready for a day of adventure ahead. Ride the classic Star Ferry service across the famous harbor to Central, Hong Kong's business district. A motor coach takes you from there to Victoria Peak, the mountain that flanks the western part of the city. Enjoy panoramic views of Hong Kong from the highest platforms in the city on Victoria Peak. And take a peek at the surroundings—from a playground to a relaxing garden to the Peak Galleria, filled with wonderful activities and shopping opportunities! Admire views of Hong Kong's incredible skyline and harbor as you enjoy a delicious lunch with fellow Adventurers at this restaurant near the summit of Victoria Peak—and feel like you're on top of the world! Ride down Victoria Peak on the historic Peak Tram funicular railway and see Hong Kong's natural wonders along the way. Explore the exciting city of Hong Kong—famous for its skyscrapers, expansive harbor, stunning views and world-class shopping. Visit Stanley Market, the perfect place to pick up souvenirs and snap photos of bustling streetscapes. Arrive at Hong Kong Disneyland by motor coach. Explore its 7 magical lands—Adventureland, Grizzly Gulch, Mystic Point, Toy Story Land, Fantasyland, Tomorrowland and Main Street, U.S.A. Discover thrilling attractions, beloved Characters, terrific shops, exciting celebrations… and all the Disney magic that is Hong Kong Disneyland! With a variety of delicious eateries to choose from at Hong Kong Disneyland, pick the right one for you and your family. And then set off for an evening of fun at Hong Kong Disneyland. Special Fast Passes for Attractions at Hong Kong Disneyland — and Shopping in 7 Lands! Celebrate this night of Disney magic with special Fast Passes that give you access to your favorite attractions, Also, find wonderful treasures at shops in each of the lands that compose this magical Park. Enjoy a filling breakfast before you head to the airport for your flight to Beijing. Relax while we handle your luggage and arrange for transportation to the airport. Once onboard the plane, enjoy lunch and arrive ready for your visit to Beijing, the capital of the People's Republic of China. Upon exiting customs, be greeted by an Adventures by Disney representative who escorts you to your transfer vehicle. Relax as the driver assists with your luggage and escorts you to the Rosewood Beijing hotel. Your Adventure Guides will help with your check-in and luggage as you explore this elegant luxury hotel. Combining tradition with contemporary style, the Rosewood Beijing is located in the heart of China's bustling capital and offers superb comfort and a host of delightful amenities. Spend the rest of the afternoon investigating Beijing. Ask your Adventure Guides for suggestions, since there are so many sites to see and things to do in this thrilling city where the ancient and the modern live side by side. Enjoy a scrumptious dinner at this restaurant in the 1949-The Hidden City dining and nightlife complex. Duck de Chine's industrial chic décor provides a laid-back ambiance while its menu features a variety of duck and non-duck delicacies with Chinese and French influences. If you want to choose the most popular menu item, delight in the classic Peking Duck combo of slices of crisp roast duck rolled in soft pancakes with plum sauce, spring onion and cucumber. Begin your day with a delicious breakfast and then meet an English speaking, family-oriented, local guide in the hotel lobby who will introduce you to Beijing history and describe the morning's activity. Be driven by motor coach to the Temple of Heaven, accompanied by your local guide. Built in 1420, this huge structure is where the emperors of the Ming and Qing dynasties worshipped the god of heaven and offered sacrifices to heaven to ensure a good harvest. It is now a cultural museum that chronicles the history of China through its architecture, art, music and more. Enjoy delicious Beijing duck and other traditional Chinese specialties at this popular restaurant with its classic atmosphere and beautiful décor. Take a guided walk across Tiananmen Square, named after the Tiananmen Gate on its north side, which translates to "Gate of Heavenly Peace." Learn about the history of this historic gathering place for celebrations and protests. Your local guide will point out the Monument to People's Heroes, Tiananmen Tower, Great Hall of the People, Memorial Hall of Chairman Mao and the National Museum of China. Enter the Forbidden City on the south side through the Gate of Supreme Harmony. On this guided tour, learn details about the incredible Imperial Palace that's housed here and which was the seat of power from 1416 to 1911. Covering 178 acres and including 90 palaces with courtyards and over 10,000 rooms containing remarkable furnishings and art, the Forbidden City is a historical testimony to Chinese civilization during the Ming and Qing dynasties. Stroll through grand halls, courts and banquet rooms and visit pavilions and palaces with fascinating exhibitions. Be awestruck by the extraordinary Glazed-Tile Nine-Dragon Screen and the spectacular Imperial Garden! Savor the flavors of Beijing! Choose from an array of wonderful restaurants and night markets. Attend a performance of a colorful Beijing opera or exciting acrobat show. 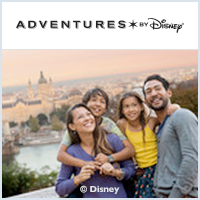 Your Adventure Guides can help find the perfect activity for you and your family. * Although Forbidden City has level paths made of asphalt or flat paving stones, there are some steps that need to be negotiated. Begin your day with a hearty breakfast to prepare for the Great Wall adventure ahead. 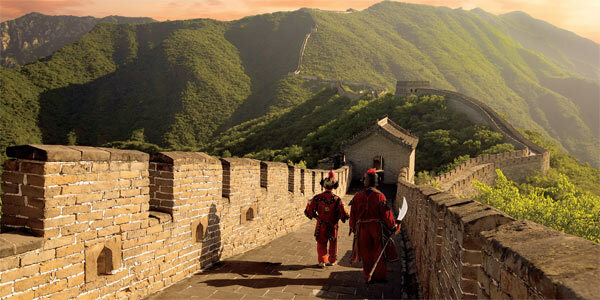 Ride a cable car up to one of the most well-preserved sections of the Great Wall located at Mutianyu. Thrill to the Great Wall of China Tour, walking along the top of this incredible structure—one of the New Wonders of the World—that once served as the northern barricade to protect the capital city. Dotted with watchtowers, the Great Wall offers an incredible view of the woods below. Enjoy a western-style lunch at this restaurant that boasts the best hamburgers and homemade ice cream in all of China! Take a motor coach to this converted village schoolhouse in the shadow of the Great Wall. Guests are given pastels and encouraged to create drawings on the blackboards that hang on the dining room walls. Explore the city at your leisure. Filled with extraordinary sights and sounds, there is an abundance of opportunities for you to take a deeper dive into past and present Chinese culture. Enjoy a delicious dinner at one of the fine restaurants in this exciting city. Ask your Adventure Guides to recommend the restaurant that's ideal for you and your family. *Please note: On the Great Wall of China, there are numerous steps to climb, some of which are steep by Western standards. Sidewalks are mostly asphalt or paving stones with broken and uneven surfaces in some areas requiring a fair degree of vigilance. Enjoy a tasty breakfast before you begin today's adventures. Travel by pedicab through the narrow streets of Beijing's ancient Hutong neighborhoods and play an interactive game involving family teams. At stops along the way, join in demonstrations of traditional crafts or watch other Guests as they participate at knot-tying, paper-cutting and making maximum use of a yo-yo! After a demonstration of knot-tying by a master, each Guest can take home a red silk bracelet with a Junior Adventurer bead. And after a paper-cutting master demonstrates how it's done, receive a paper-cutting sample to remember your experience. Enjoy a family-style lunch featuring both Chinese and Western dishes at this restaurant in a former private residence in the Hutong neighborhood. Dine in the relaxed atmosphere while overlooking a public park and a rare Beijing lake. Ride a motor coach to the airport and fly to Chengdu, the capital of the Sichuan Province. As your Adventure Guides check you in and handle your luggage, make yourself at home in this 5-star luxury hotel with impeccable accommodations and amenities. Delight in tasty Sichuan-style food as well as Western fare served family-style in this renowned restaurant that's brimming with Ba Shu culture. Enjoy an American-style buffet breakfast at your leisure during the early morning hours. Meet some of the dedicated scientists at China's premier institution devoted to the preservation of endangered pandas—the Chengdu Research Base of Giant Panda Breeding. Your privately guided tour includes a presentation by a biologist and a peek at the natural habitats that have been recreated for the pandas. Watch a dozen or more big and little pandas at play in their park-like enclosures! Create your own variety of Chinese stew! Start with the stock that simmers in a metal pot at the center of the dining table. Choose the ingredients you want and put them into the pot—and watch them cook right there at the table! Typical hot pot dishes include thinly sliced meat, leafy vegetables, mushrooms, wontons, egg dumplings, and seafood, and they are usually eaten with a dipping sauce. The afternoon is yours to enjoy the hotel's amenities or explore Chengdu's many attractions and fabulous restaurants on your own. Ask your Adventure Guide for suggestions. Choose from a variety of delicious eateries—maybe even one you found for yourself during this afternoon's exploration of Chengdu! If you want help picking the right one for you and your family, ask your Adventure Guides for recommendations. Delight in an evening of fun when you see the classic Chinese art form of face changing at the Sichuan Opera! This remarkable performance provides a variety of entertainment, including amusing acrobatic stunts, music and puppetry—and culminates with the amazing, classic face changing act that has to be seen to be believed! Say goodbye to Chengdu as you fuel up on breakfast, readying yourself for your day ahead. Take a motor coach to the airport and board the plane to Xi'an. Be assisted with your luggage along the way. Explore one of the most spectacular wonders in China! A UNESCO World Cultural Heritage site, the Terracotta Warriors and Horses were first discovered in 1974 in an archaeological dig where over 7000 clay sculptures of warriors, horses and chariots were found buried alongside China's first emperor, Qin Shi Huang Di—the protection he was going to take with him into the afterlife! The museum features these life-size terracotta figures of warriors and horses in battle formations, representing the imperial guard of that era. Digging at this archaeological site is ongoing in the expectation of unearthing more monumental discoveries like these. Enjoy a boxed lunch while taking in this remarkable atmosphere. Take a motor coach to the airport. Depending on the time of your flight to Guilin, have a tasty boxed dinner at the airport or enjoy a buffet dinner at a restaurant. Your Adventure Guides help check you in and handle your luggage while you explore this contemporary luxury hotel in the ancient city of Guilin that features classic Chinese architecture, plus rooms and fine amenities. Located in the heart of the city, this elegant hotel offers stunning views of the Li River. Begin with a delicious breakfast and get ready for the boat cruise ahead. As you take a cruise along the lazy Li River—also known as the Lijiang—be surrounded by China's legendary and interestingly shaped "gumdrop mountains" and terraced rice paddies. One of China's most scenic areas, soak in the beauty of the stark cliffs, rolling hills and famous caves. Watch for water buffalo along the shoreline and fishermen riding by on bamboo rafts. And see for yourself why so many Chinese poems and paintings celebrate the wonders of this river. Enjoy a boxed lunch on the boat and get ready to try out your bargaining skills at the shops in Yangshuo. Visit the lively, bustling market village of Yangshuo famous for its bargain shops along West Street, and staffed by friendly hawkers eager to negotiate prices. This is an ideal opportunity to find an item for the White Elephant exchange that happens after dinner tonight! Return to the Shangri-La Guilin for a tasty Chinese barbeque. Show off your bargain souvenirs from Yangshuo while dining on a delectable feast! Prepare yourself for some laughs and fun with your fellow Adventurers. See what White Elephant gifts are given—and be surprised by what you get! Settle in with your little ones for a private Disney movie presentation. Begin your morning with a tasty breakfast. Let the harmony of your surroundings inspire you. Spend an hour surrounded by the gumdrop mountains learning Tai Chi from a local master. Travel to cosmopolitan Shanghai. Lunch will be served in-flight. As your Adventure Guides check you in and handle your luggage, look around this luxury hotel on the historic Bund riverfront, which was voted as 2015 Best City Hotel in Asia by the readers of influential Travel + Leisure magazine and also ranked 2015 Number One Hotel in Greater China by the readers of Condé Nast Traveler (US). Explore this city that's said to have a skyline that rivals New York's, filled with international influences that will surprise and delight you. Explore the historic Bund waterfront district around your hotel, which houses 26 buildings with Gothic, Baroque, Romanesque, Classic and Renaissance architectural styles and look out at the skyscrapers of the financial district of Pudong. Ride in a motor coach to the Xiantandi district and join your fellow Adventurers at Shanghai's Din Tai Fung restaurant for a meal of classic Shanghai dumplings and assorted dishes, artfully prepared and served. Take a short drive to Shanghai Circus World Theater. There, be amazed by the show ERA-Intersection of Time—a modern version of a classic Chinese acrobatic performance with a live rock band, dramatic lighting and a breathtaking array of talented performers. Not to be missed is the grand finale featuring 8 motorcycles and… well, we don't want to give the surprise away! Start the day with a tasty breakfast and get energized for the fun activities ahead. Ride in a motor coach to the Old City of Shanghai. Stroll along the narrow streets of this colorful district, known for its preserved classic architecture and lively open-air markets with over 100 stores and shops in this area—some a century old! Then, unwind at Yu Gardens. This 300-year-old large Chinese garden beside the City Gold Temple offers "harmonious balance" and evokes peace, calm and poetic inspiration in the heart of one of the world's busiest cities. Take a motor coach drive to the newest, innovative Disney Resort and theme park—Shanghai Disneyland! Enjoy some of your favorite attractions. And discover some that are new to Disney Parks, including the Garden of the Twelve Friends, located in the Gardens of the Imagination, the Pirates of the Caribbean Battle for the Sunken Treasure in Treasure Cove and more! Explore Shanghai Disneyland's fabulous restaurants on your own or ask your Adventure Guides for lunch suggestions. Relish this special and scrumptious dinner at one of the fine restaurants at Shanghai Disneyland! Share your stories of this trip with fellow Adventurers and enjoy a surprise or two! Delight in a spectacular fireworks extravaganza, with the night sky over Shanghai Disneyland aglitter in celebration—creating an incredible send-off and one more unforgettable memory to take home with you from your Adventures by Disney vacation to China! Say farewell to China—and your newfound friends—over a final breakfast. Relax while we handle your luggage and arrange for transportation to the airport.